Food arrived early and tasted great, and fresh. I wasn't as hot as it could have been but 60 seconds in the microwave solved that. The only real negative is that the rice portions were a bit on the small side. Hands down best Thai restaurant in 11201. Lovely restaurant in person, too. Calamari pad Thai, chicken satay and banana cream desert (phone order only) highly recommended. Don't think twice, this is it. Delicious! I love this place! Everything's fresh and flavorful and not too salty. The Pumpkin Curry is exceptional! The steak was perfectly cooked and juicy, and the potatoes and bok choy were delicious. No complaints, food was delicious. This is my neighborhood go to. The food is fresh, prepared well, and my order almost always arrives early. I am disappointed that the chef changed the coating for the fried calamari. When I first started ordering from them about a year ago, there was this wonderful corn-based coating that was tasty and crunchy without the oil. The new one is good, but not like the old one. Will keep ordering from them anyway - love, love, love it. Absolute best Thai I've had outside of Thailand. 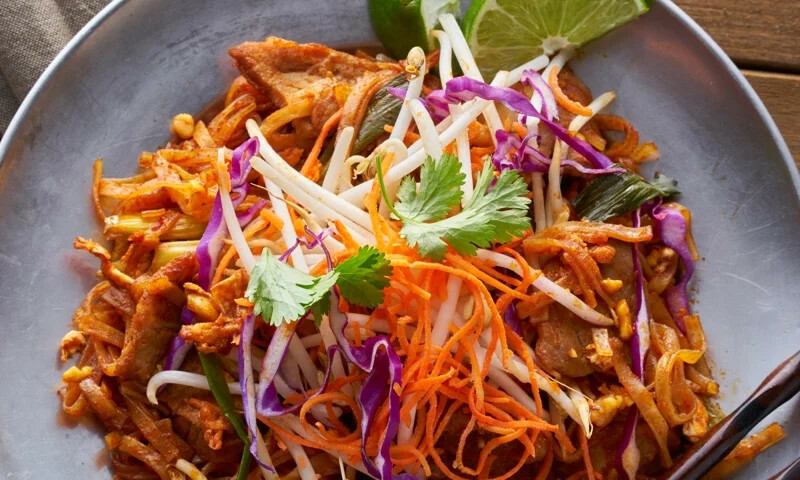 The pad Thai is incredibly flavorful, the Tom Kha is unparalleled, the PCU is delicious, and the Dumpling is delicate and well-spiced. Really fresh ingredients; great shrimp in particular. Can't recommend highly enough! Such a neighborhood gem. Delicious, fresh Thai food. The best in the neighborhood in my opinion. Ive yet to try something I didnt like - and even their fried noodles, pad Thai, etc not greasy. A little pricier than other Thai places but worth it. my neighborhood go-to! the order comes so fast you don't really understand how it's possible, but the food is always great. After two years of working with chef Mark Lapico at Jean George, with growing ambition and the hunger to explore his creativity, chef Tony decided to started his own new Thai Kitchen on Christopher Street"Pinto restaurant" which features bold, intense flavor of genuine and French-influenced technique. Raised in the city of Bangkok, chef Tony Phutchaphong. His love of street food flavor given the passion for cooking, he traveled to the US to provide himself with new challenges and opportunities. He pursued his cooking career at Stratford University's culinary program. During his training at the school, he had a chance to work in professional kitchen of "Sawatdee Thai restaurant", a famous restaurant in Northern Virginia. At Sawatdee restaurant, chef Tony learned the bold flavor of Thai food. After that, Chef Tony came to New York City to begin his chef career at Jean-George restaurant. Whether you're craving a quick bite or looking to treat yourself to a delicious meal, you can now order your Pinto favorites for takeout or delivery.